Looking for fresh strawberry recipes? And when I say fresh–I mean really fresh! Not only are these recipes using fresh-picked strawberries, but I think that these dishes offer a fresh, unique take on this year’s strawberry season. Hopefully, you’ll find some ideas here that you can enjoy at home with the kids, but that are also potluck-worthy for putting your reputation on the line for family and friends. 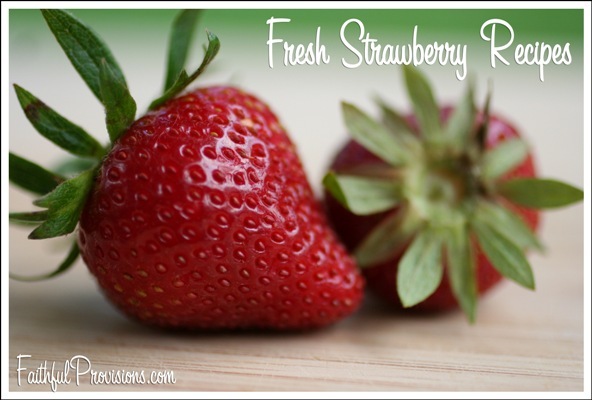 Here are my picks for a few new ideas for fresh strawberry recipes. I’ll be taking these to upcoming barbecues and other outdoor events over the next couple of weeks. Strawberry Bruschetta – Bradford loves bruschetta and so do I. Strawberry bruschetta is a cinch to make. Simply take a baguette and slice it. Spread a layer of goat cheese over it. Top with strawberries, then drizzle with balsamic vinegar and garnish with mint. Mix sliced strawberries and kiwi. Serve in a pretty salad bowl garnished with a lime wedge and a sprig of mint. TIP: Take it up a notch when you roll up mint leaves and slice them, chiffonade-style, then sprinkle over fruit salad to garnish. Learn how to chiffonade HERE. 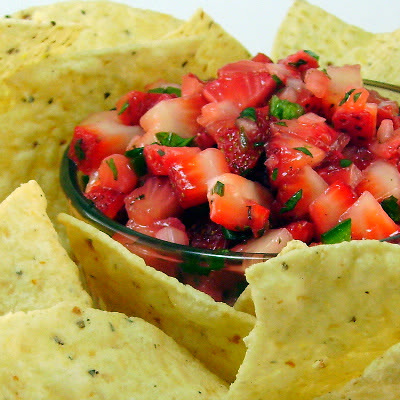 Strawberry salsa. This is sure to be a hit at any family event we attend, because everyone loves a great salsa dip. This is something new for me to try–a strawberry salsa from One Perfect Bite. From the ingredients listed, it looks like it will still have a kick to it, but the strawberries will definitely add a sweet pop of flavor. Let me know if you decide to try it! Find it here. Strawberry shortcake recipes. You’ll love my two strawberry shortcake recipes. I share a classic style that my grandmother made along with a “shortcut” variation that takes less time. Either is sure to be a crowd-pleaser wherever you go! :: You might want to learn how to make strawberry jam. It’s not hard, and you will love it! When kids are hungry, it helps if it looks good, tastes good, and is still good for them! Try these two fresh strawberry recipes to get the benefits of fresh fruit working for your kids! TIP: Layer so that you begin and end with strawberries. Easy Strawberries and Cream – My daughter loves this, and it couldn’t be easier. Cut up strawberries in a bowl. Pour liquid French Vanilla coffee creamer over them. My kids also love my recipe for strawberry smoothie. 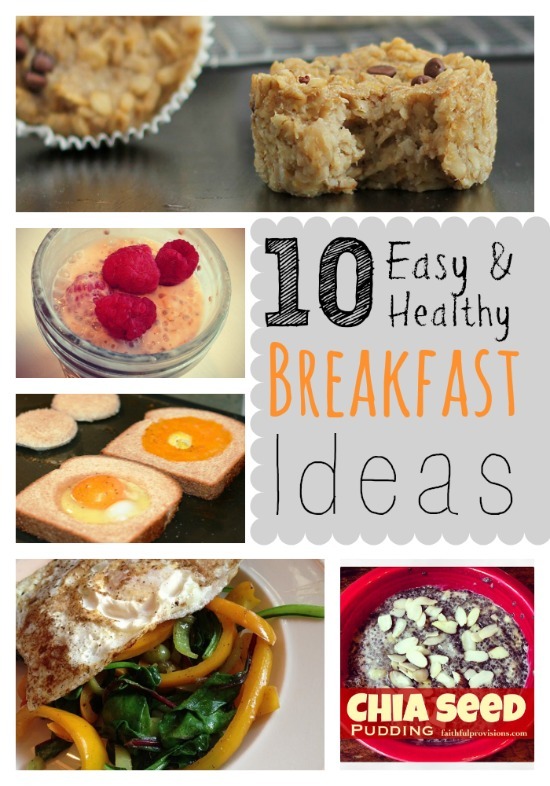 I add oatmeal to it, so it is loaded with both flavor and fiber. Do you love strawberries like I do? 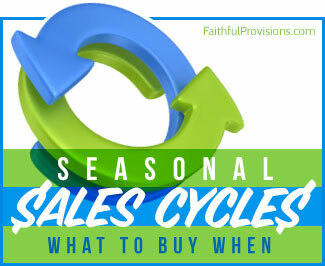 You can find lots more recipes for strawberries on Faithful Provisions.